Dining at the edge of the Pacific. 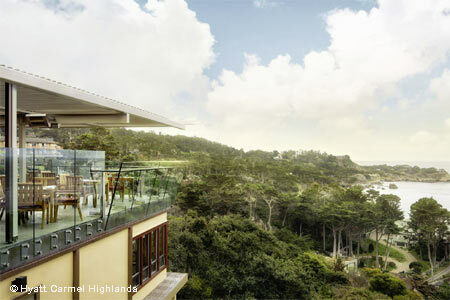 : Hyatt Carmel Highlands experienced a renovation and among the changes at the property was the merging of its in-house dining venues: Pacific’s Edge and California Market. The former is a dinner destination offering black tiger shrimp ceviche, aged rib-eye with chimichurri and South Pacific bouillabaisse. Head to the latter to find breakfast, lunch and brunch fare ranging from cinnamon french toast to a roasted turkey sandwich. Beer, wine and cocktails are available. The setting is designed to make the most of the view.